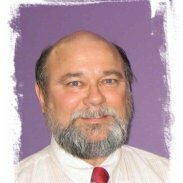 J. Anthony Cavell is licensed as a Professional Land Surveyor in Louisiana since 1990, one of the original group of Certified Federal Surveyors and a Board Approved Continuing Professional Development Provider. He has been speaking on surveying topics since the late 1980s, was awarded the Earle J. Fennell award by the ACSM and was in the first class of Trimble Certified Trainers. He has a particular interest in promoting and elevating the practice and the perception of the ancient practice of surveying. He repays his chosen profession by active participation in his state and national associations including LSPS, NSPS, AAGS, GLIS and ACSM; currently he is serving as Louisiana NSPS Governor and Secretary to the Board of Governors. Tony also provides a portal to the GPS community through his website, GPSman.com. His expert consultation has been sought by attorneys, legislators, other surveyors and individuals, most often for advice understanding maps, datums, historical surveys and the technologies of surveying. Tony's experience is wide ranging and includes construction, boundary, offshore positioning, hydrographical and topographical surveying, technical sales and training, business administration and university research. He is able to bring this breadth of experience to bear on difficult problems or to clarify complex concepts for students. Reviews of his classes consistently indicate a depth of understanding on his part and desire to return to another presentation by him. The advent of terrestrial LiDAR has opened a new opportunity for surveyors to measure and record conditions as found in the field. This program provides an overview of the technology, its limitations and its potential. Proper mapping is much more than the result of simply plotting spots on paper base map or grabbing coordinates for the database. Satellite positioning isn’t magic and not all positions are created equal! It takes proper techniques and understanding to get the potential out of one’s tools. Students in this program will have an opportunity to learn proper techniques, analysis and gain the understanding needed to develop honest representations of the real world. A few tips–n–tricks are thrown in for good measure. This program is for those who need to learn the capabilities and limitations to expect from using satellite positioning. Corporate and political executives, bureaucratic administrators as well as the simply curious will be exposed to different uses and applications of GNSS and also learn when their expectations may be set too high. While focused on the last question, this program will necessarily touch on all the others. As a professional, the surveyors must develop his relationship to the state, to clients and to other professionals. All of these may be improved with practice. When is it appropriate to codify the requirements by regulation and what of it is appropriate? What ought properly to be changed? For those who like a peek behind the curtain, this program is the ticket. They will be exposed to different uses and applications of GNSS as well as some of the reasons why it works in the first place. The professional who may need to explain to the uninitiated the how or the why certain results are to be expected will benefit from this program. This program is for those who need to learn a bit of how and why satellite surveying works and the capabilities and limitations to expect from using it. Corporate and political executives, bureaucratic administrators as well as the simply curious will be exposed to different uses and applications of GNSS and also learn when their expectations may be set too high. In their efforts to administer and supervise professionals licensed because they possess special knowledge and expertise not available to most, regulatory boards feel the need to codify what it is that the professional ought to do. This naturally leads bureaucratic administration to schizophrenic attitudes when charged to protect the public from the professionals. What gets defined are procedures and sizes of items used and the like. It difficult, if not impossible, to codify the thinking processes and reasoning necessary for each unique surveying situation. The results are usually called “Minimum Standards.” This program is convenient when PDH requirements include a few hours devoted to the standards. This program is very similar to the previous one entitled “Minimum Standards for Property Boundary Surveys” but emphasizes the model standards promulgated by the National Society of Professional Surveyoirs in lieu of local regulations. There is the nice neat process taught in Civics class, and then there is the ugly perception of a system fraught with corruption. The truth is definitely somewhere in between. Being of human invention, the legislative process often reminds one of making sausage. How may surveyors as professionals and members of a respected profession influence the process for good? This program is aimed at the Para–professional and is about dealing with the public, public relations, company image and handling interpersonal situations. It is complimentary to “The Surveyor and Marketing” seminar. Your para–professional employees likely have far more contact with the public and client representatives than you do as a professional. Don't forget your employees. Here's something to put on the program for them too! How do we determine the correct course of action in a situation? in a professional situation? What are the differences between Ethics, Legalities and Moralities? This and more will be explored in this class aimed particularly at practitioners of Land Surveying and other fields. A strong participation and open discussion usually drives this program. Who would have guessed when first hearing this ages–old nursery rhyme all the lessons for conducting business in the modern world it contains? Participants engaged in this program will find touchstones and handy reminders all around them helpful for marketing their businesses in today's media–crazed, “New York Minute” environment. This program will help attendees understand their roles in the FEMA Flood Insurance Program and how to fulfill those roles. The class will cover the expectations FEMA has for the surveyor. The new Elevation Certificate will be explored and what goes where and how to get it; what datum is correct and how to determine it; how to meet the expectations of FEMA, the bank, and the owner while maintaining one's sanity and license. Doing all of this quickly becomes worthless if it can't be done profitably. A frank discussion of best practices concludes the class. What is it that a Land Surveyor does? What is title? What is a boundary description? What is a boundary? What is a “metes and bounds” ? Anyone who has pondered these questions would benefit from this program. Surveying has had a long history as a profession, in fact creating the concept of “profession”. The history of how surveyors have worked, thought and produced is an old one. Technological advances and methodologies are evolving and changing the ways people think about geospatial information. Clients change what they think surveyors should do. This program will cover those expectations to uncover what is reasonable and proper and what is not, and perhaps how the professional may educate his clients to the difference. This program is intended for those who have a basic grasp of satellite surveying but are considering subscribing to a real-time surveying network or simply curious. What are network R-T corrections? Is RTN only for surveyors? What about connecting to R–T networks?